The abundance of job openings has created a candidate-centric market where job seekers have more flexibility in choosing where they work. This puts pressure on employers to implement effective employee retention strategies that prevent costly staff turnover. 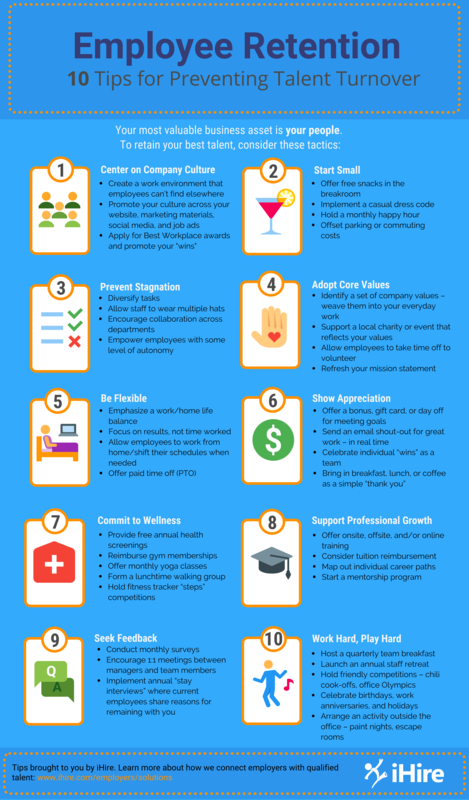 From offering paid time off (PTO) to holding “stay interviews” and providing free snacks, learn how to reduce employee turnover with this handy tip sheet. 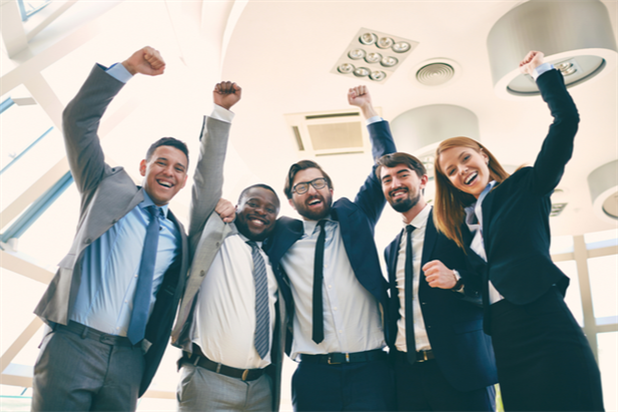 For more advice on preventing employee turnover and improving talent retention, read iHire’s contributed article, “Putting Your People First: 8 Tactics for Retaining Employees,” in CEO World Magazine.